Guest post by Terry Coggan, a New Zealand Marxist and trade unionist. Few of us will ever make an original contribution to economic science. We necessarily remain its consumers rather than its producers. Even Marxist parties, although they have the advantage over individual activists in that they can function as “collective thinking machines,” are to some extent reliant on professional “experts” in the field – government statisticians, academic economists, business journalists, market analysts of one sort or another. But revolutionary politicians must know enough to be able to approach critically the output of these specialists, including, or perhaps especially, the Marxist ones, to recognize what is useful and what is not. Remembering Lenin’s injunction that “Without revolutionary theory there can be no revolutionary movement,” every serious workers’ party knows that it must educate its members in Marxist theory, including economic theory. But how much economics do its cadres need to know? Some, undoubtedly. For instance, every communist should be able to acquaint his or her fellow workers with what Marx regarded as his greatest scientific achievement, the theory of surplus value, i.e., to describe theoretically what many workers know from their life experience, that capitalist society is based on exploitation. More generally, while they avoid drawing up detailed blueprints for the society after capitalism, communists should be able to outline some of its broad features, and this already assumes an acquaintance with some basic economic concepts and their historical development. You can’t say, for example, that under communism there will be no money, without being able to explain the origin and functions of money in class society, in other words quite a chunk of Marxist economics. What about the question of the crises that recur in the capitalist economy? Are there common causes for the Great Depression of the 1930s, the “stagflation” recessions of the mid 1970s and early 1980s, and the slump of 2007-09 and the subsequent “secular stagnation”? What is the connection between ten-year trade or industrial cycles, and longer term shifts in the curve of capitalist development? Do these “long waves” even exist? Do such questions even have to be definitely nailed down before a successful socialist revolution can be made? Not necessarily, in my opinion. It is doubtful whether many members of the Bolshevik Party or the July 26th Movement solved these problems before the victory of the revolutions they led. But to be able to do so, or even to make substantial progress in that direction, would greatly strengthen the armature of the workers movement in its fight towards its ultimate goal. At the very least, communists need to be able to demonstrate that crises are lawful outcomes of the laws of motion of the capitalist system, and not just more or less accidental events which can be avoided if governments or central bankers adopt the correct economic policies, which is the assumption that all bourgeois or “mainstream” economists, from the left or right, start from. I believe that in his blog A Critique of Crisis Theory (https://critiqueofcrisistheory.wordpress.com/), the subject of this article,1 Sam Williams has made a significant contribution in this direction. When commentators point to inadequacies or omissions in Marx’s work, the fault is usually theirs and not Marx’s, but it is undeniably true that Marx did not leave a complete crisis theory. This has left room for different schools of crisis theory to emerge under the general Marxist umbrella. The two most influential are the under consumption or lack of effective demand school, and the falling rate of profit school. Williams extensively reviews both and, while not rejecting either, considers them inadequate as they stand. Gold is a commodity in terms of which the value of all other commodities is measured, and thus becomes money. The value of a commodity can never be measured directly in terms of quantities of abstract labour, which are measured in units of time, but only through the form of exchange value. 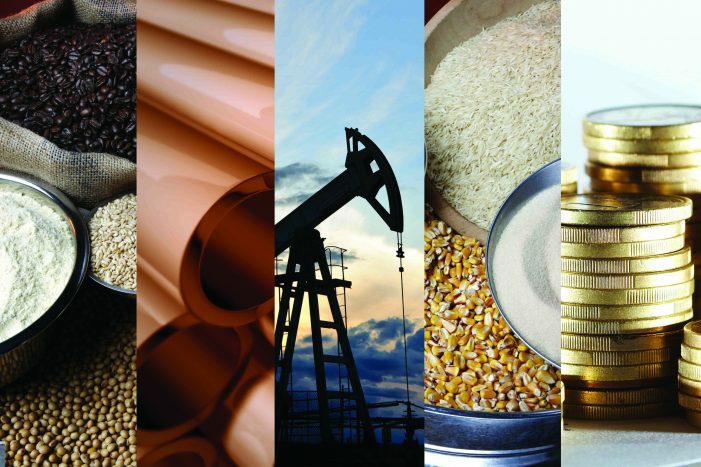 In its turn, a commodity’s exchange value, its price, (although not necessarily in the first instance its market price), must be measured in terms of the use value of another commodity, and when one particular commodity has come to perform this service for all other commodities, when it has become the independent existence of their exchange value, it has become money. The relevance of this analysis for crisis theory may not be immediately apparent – Marx wasn’t investigating capitalist crises when he developed it in Volume One – but Williams believes it is crucial. The crisis when it inevitably comes lowers prices in relation to values, making gold production again more profitable. The subsequent rise in the quantity of metallic money swells bank reserves and forms the material basis for another expansion of the market. But how, exactly? Williams tests his theory by examining historic trends in gold production. He makes the general statement “Every major period of prosperity in the history of capitalism since the middle of the 19th century has been preceded or accompanied by a major rise in gold production, while every period of major crisis has been accompanied or preceded by major declines in gold production.” The two great international gold rush booms of the 19th century, (of which more below), are obvious cases in point. Williams also points to two more recent examples: a decline in gold production triggered by the rising prices of “the long boom” of the 1950s and and 1960s, preceded the slump of 1974-5. A similar decline in gold production, triggered by the rising prices of “the great moderation” of the 1990s, preceded the slump of 2007-09. Or conversely, the 1974-75 and 1981-82 recessions lowered prices (in gold terms), and led, after the necessary time lag, to the increase in gold production that underlay the 1990s expansion, just as the steeper fall in commodity prices during the 1930s had boosted gold production and made possible the post World War Two boom. (His explanation of the severity of the 1930s “super depression” itself is that the “contracted reproduction” of World War One had not allowed commodity prices to drop, the opposite in fact, so that they were already too high relative to labour values when the 1920s boom began, keeping the downwards pressure on gold production that had begun as the pre-war expansion was peaking unrelieved for decades). This movement of market prices in relation to underlying values and its effect on gold production is the bare bones of Williams theory, but two other factors, not necessarily cyclical, are operating in the real world that might work in the same or in the opposite direction, and these variable interactions have to be taken into account. The first is the dollar price of gold, which has been subject to variations, sometimes wild variations, since the end of the last remnants of the international gold standard with the collapse of the Bretton Woods system in 1971; and the second is the physical capacity of the world’s supply of gold to increase (it never actually decreases), and the related question of the productivity of gold mining relative to other industries, i.e., changing labour values of gold relative to all other commodities. 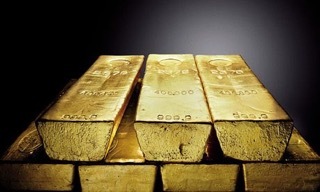 The “price” of gold reached $875 in 1980, fell to $253 in 1999, only to climb to an all-time high of $1905 in 2011. Speculation is clearly one factor behind these movements, but they are also influenced by the changing level of demand for gold at different points in the business cycle. When capitalists sense an approaching crisis they increase their demand for and holdings of gold. This happened in the 1970s and again in the run up to 2007-09. As Williams says, “the resulting depreciation of paper money against gold leads to a rise in the purchasing power of gold, or what comes to the same thing, a fall of the price of commodities in terms of gold.” This encourages gold production, i.e. after the time lag, it works in the same direction as the boost to gold production caused by the 1970s and 2008-09 recessions. But the very increased supply has “bearish implications for the dollar price of gold,” as happened after 2012, when the falling dollar price of gold – rising commodity prices in terms of gold – caused gold production to decline, after the recession conditions of 2007-09 had led it in the opposite direction. 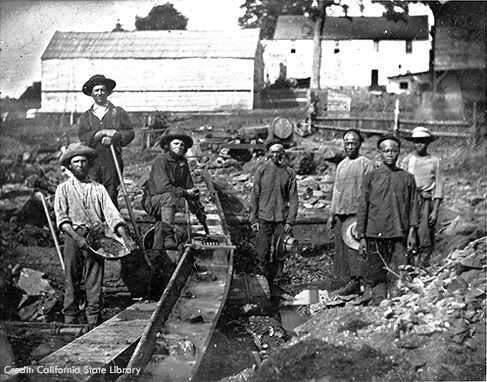 The effect of changes in the relative productivity of the gold mining industry is especially evident during the two expansionary “long waves,” or upturns in the curve of capitalist development, which occurred after 1848 and 1895, when the opening up of new gold fields and improved mining techniques flooded the world market with gold, each ounce of which had also cost less labour time to produce. In both cases, for a prolonged period comprising more than one industrial cycle, prices, with profits following them, were pushed upwards to reflect the lowered relative value of gold money. Marx witnessed the first of these periods, and called it “a second sixteenth century.” Unfortunately for the capitalist class, there has been no similar golden bounty since. Today mines are yielding gold less readily, and it’s costing more labour time to bring each ounce to the surface, raising the value of gold relative to most other commodities, increasing the costs of mining gold, and causing a fall in the rate of profit in the gold producing industry relative to that in other industries. This factor acts as a brake on gold production even when recession-induced falls in the gold price of commodities encourages an increase, as in the 1930s, the 1980s, or after 2007-09. Similarly, notes Williams, the decline in gold production that occurred between 2001 and 2008 was not just cyclical but reflected a worsening in the natural conditions of producing gold, especially in South Africa. Predictions that the world is approaching “peak gold” appear to be even more solidly founded than those that have it approaching “peak oil.” If this is the case, Williams argues, the implications for capitalism in the longer term are ominous. The rise of gold in value relative to other commodities will become permanent. 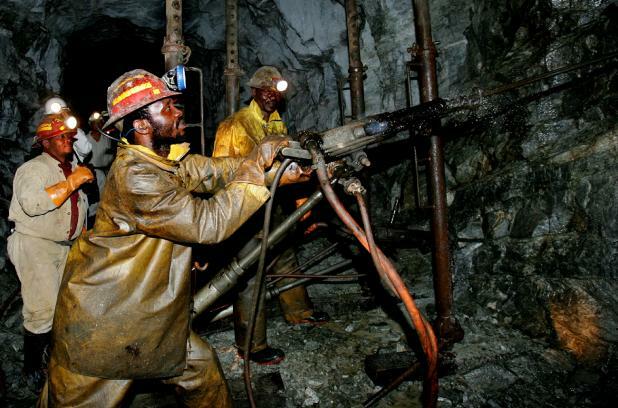 “As present-day mines are depleted, the price of production of commodities will fall. Future crises will have to progressively lower market prices in terms of gold down to — and for periods of time below — the falling prices of production in order to stimulate new gold production from poorer ores — or in the more distant future maybe even from asteroids if capitalism were to last that long. A long-term downward trend in the prices of production, however, intensifies crises and prolongs the periods of stagnation that follow them: in other words it creates heavy headwinds for the process of expanded capitalist reproduction resulting in secular stagnation.” A new period of expanded capitalist reproduction without any revolution in the production of the money material, such as occurred after World War Two, is not in theory impossible, but it would require a “super-crisis” of such economic and social severity that the consequences for humanity are scarcely imaginable. But, if the value of a commodity can never be measured directly in terms of quantities of abstract labour, it is impossible to determine the exchange value of a commodity, which is only the expression of the relative values of two commodities! It is impossible to say that 1 unit of A exchanges for, i.e. has the same value as 10 units of B, unless I first know what the value of A and B are, and that can only be determined by the amount of abstract labour, which each possess. Engels describes the long historical period, and process by which products become commodities, and by which the value of products, by this process of comparison if values, become turned into exchange values, as the visible manifestation of their value “stamped on their face”, as Marx puts it in Vol. I. Marx would have spent long describing this in Vol III. Engels says had he lived. Moreover, although the value form does indeed involve expressing the value of commodity A as a certain quantity of use value B, it is not the value of A that is being compared with the use value of B, which is like comparing apples and oranges, but is the value of A compared with the VALUE contained in a certain quantity of use value B. The idea that the value of a commodity can only be represented by its exchange value for a certain quantity of use value B, is back to front, because you cannot determine exchange values, i.re relative expressions of value without first determining values, i.e. objectively determined absolute quantities of value, measure by labour-time. The argument presented, of value as exchange value, is essentially the same argument as was presented by Charles Ganilh, and taken apart by Marx in Theories of Surplus Value Part I. Moreover, as Marx sets out, in Theories of Surplus Value, all commodities, in so far as they are quantities of value, and thereby equivalents of other commodities, exchange value, are money. In fact, as Marx sets out, most transactions end up being a quantity of one commodity being bought by quantities of other commodities, with money only acting as means of payment to settle balances. That is why commercial credit can fulfil the function of money, reducing the quantity of the actual money commodity required in circulation for any level of transactions. If anyone wants to understand why we need to measure value – embodied abstract human labour – indirectly through the value form of exchange value rather than directly, or why as Marx put it, “the value-determining element, labour-time, cannot be the element in which prices are expressed“, there is no better place to go than the first three chapters of Volume One of Capital where the whole thing is laid out. A useful angle from which to approach the issue is to ask yourself why labour money – workers being paid with vouchers saying they have worked x number of hours which they can then exchange for the commodities they need – wouldn’t work in capitalist, or any commodity-producing society. If you can answer that question, you are on the way to grasping Marxist value theory. Sam Williams provides a clear explanation at several places on his blog A Critique of Crisis Theory, especially in the posts entitled “Money as the Universal Equivalent” , and “ ‘The Failure of Capitalist Production’ by Andrew Kliman – Part 2”. Except, as Marx makes clear in those chapters, and in Theories of Surplus Value, that prices are not a measure of value, but of exchange value. Money is merely the universal equivalent form of value, i.e. not value itself, but value expressed as exchange value. Here is what Marx says, in response to Ganilh, for example, who confused Exchange Value with Value, and argued that wealth consists of exchange value. And its precisely, for this reason that value itself cannot be measured by money. Only exchange value can be measured by money. If 1 metre of linen exchanges for 1 ox. of gold today, and exchanges for 2 oz of gold tomorrow, and gold is the money commodity. Can you confidently tell us that the value of linen has risen? No, of course you cannot, because all you can tell us is that the proportion of value of gold has changed relative to linen. It can just as easily be the case that the value of gold has fallen, rather than the value of linen has risen! In other words, the labour is not embodied or materialised as value in the commodity. The phrase is simply intended to reflect the fact that, at any one time, each commodity represents a certain quantity of social labour-time, irrespective of the actual labour that was embodied within that particular commodity unit, and indeed irrespective of the individual value of the commodities produced by that particular producer. The value of each commodity unit is determined not by the labour embodied within it, but by the socially necessary labour-time required to produce that type of commodity, of which each individual unit is merely a representative. This exchange of things – commodities – creates the illusion that it is these things that have value, rather than being merely the representatives of value. As Marx puts it, every commodity is money, it is a claim to a certain quantity of labour-time, and that quantity of labour-time is equal to the socially necessary labour-time required for its own production. The commodity does not embody labour within it as value, thereby making that value some intrinsic quality of the commodity. 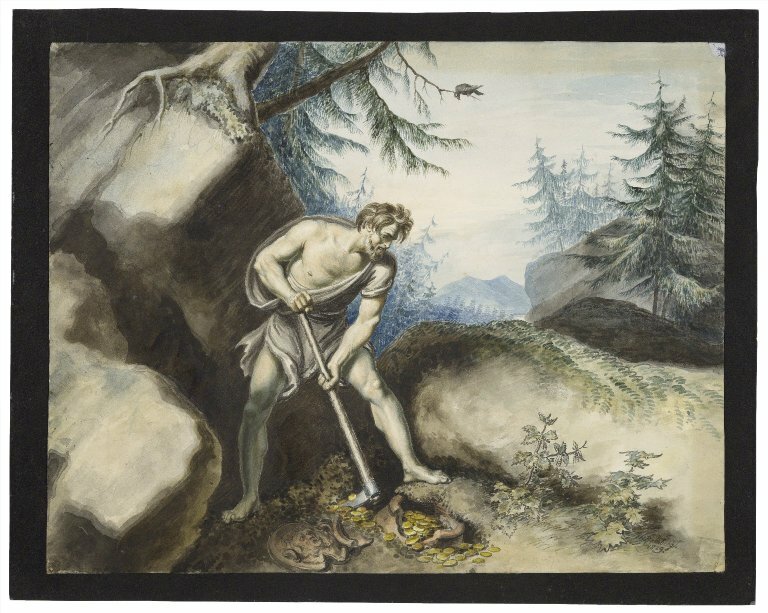 The commodity is rather merely a vessel within which value is contained, and the quantity of that value can be greater or smaller, within the same individual commodity, in accordance with the proportion of social labour time it represents, a proportion which is constantly changing, as social productivity changes. Moreover, the concept of embodied labour within a commodity, is Smithian in another sense, that it limits value to only material commodities. What about the value of immaterial commodities or services? Do they not have value? What about transport? The labour involved in transporting a commodity from one palce to another, or transporting passengers from one place to another is not embodied in any material commodity, like a service it is consumed in the very act of production. When an actor, gives a performance, their labour creates value, but it is not embodied in any commodity, the performance itself is the commodity, a product with value, produced for the purpose of sale. Finally, of course as Marx says, ““the value-determining element, labour-time, cannot be the element in which prices are expressed“, because it is irrational to say that 1 hour of value is equal to 1 hour of value! Value is labour, and its measure is labour-time. Prices on the other hand, are exchange values, not values, They are exchange value expressed in money. But, you cannot determine exchange values without first the commodities being exchanged having value, and it is only because products, i.e. use values produced by labour, first have value, and then start to become traded, that these values can be brought into equivalence with each other – as described in Chapter 3 of Capital I – that values become transformed into exchange values, and products become transformed into commodities, and finally that one single commodity becomes separated off as the universal commodity – money. Engels describes the historical process by which value is first measured directly by peasant producers, and then these values are brought into relations of equivalence of commodities, in his Supplement to Capital III. This is a fantastic introduction to some fundamental concepts in Marxist economic theory. Terrry has demonstrated his mastery of the issues raised by Sam Williams in the Critique of Crisis Theory Blog and is to be congratulated on being able to explain them in relatively abridged format of a review. Why? All this shows is that the value of labour-power, i.e. what underlies wages, is different to the value created by labour, that difference being the surplus value produced by that labour-power. The idea that workers could be given such labour tokens representing the labour-time they have provided, and then take out an equivalent value from a collective store in a socialist society, is the view presented by the Lassalleans in the Gotha Programme, that was critiqued by Marx. Marx makes clear that no such equivalence in a socialist society is possible for various reasons. Firstly, the value of the constant capital (mean of production in a socialist society) has to be reproduced on a like for like physical basis, before any output can be allocated for consumption. Secondly, a proportion of output must be set aside to provide for the needs of those who cannot work, and for those who perform necessary labour, but which does not produce new value. Thirdly, a proportion of output, the surplus product, must be set aside to provide for increases in population and future output, and to add to the potential for raising social productivity etc. Only after these deductions from the total output have been made is what is left available for distribution back to workers.